Located along the Belubula River, north-west of Lyndhurst, is the Cliefden karst environment – one of the most significant cave systems in New South Wales. 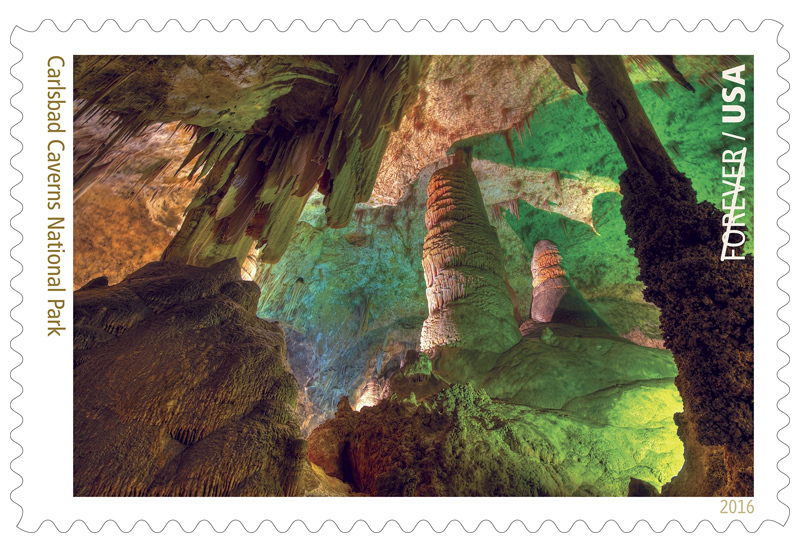 The stamp features the impressive stalagmites and stalactites of the Clown Room in Cliefden Main Cave. As well as its more than 100 caves, Cliefden also has an abundance of well-preserved and globally significant fossil deposits. 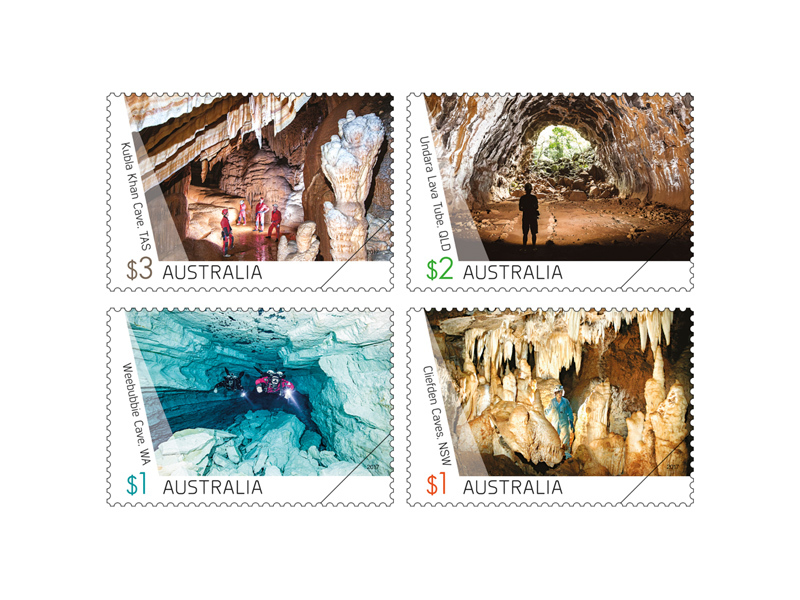 Weebubbie Cave, near Eucla in Western Australia, is a culturally significant site to the Mirning people. 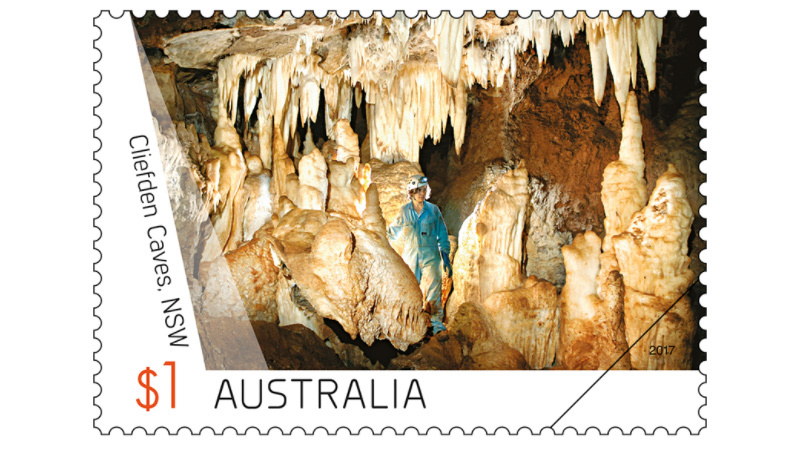 Formed millions of years ago, it is the deepest cave in the Nullarbor, which itself is made up of the largest continuous block of limestone in the world. 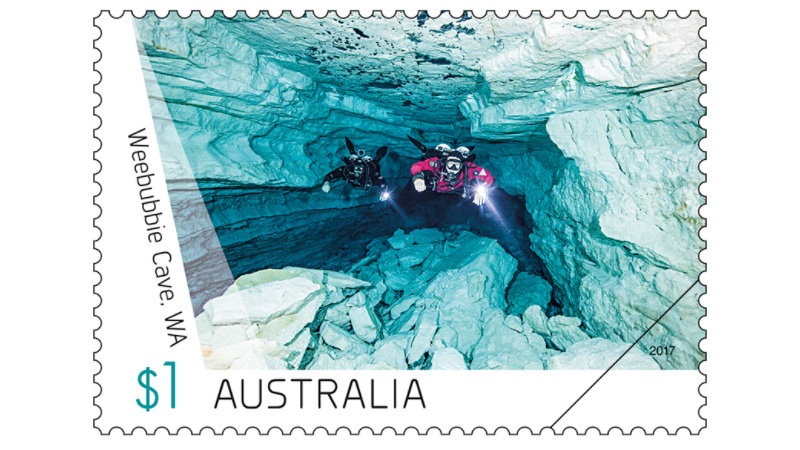 As can be seen on the stamp, its lakes are crystal clear. 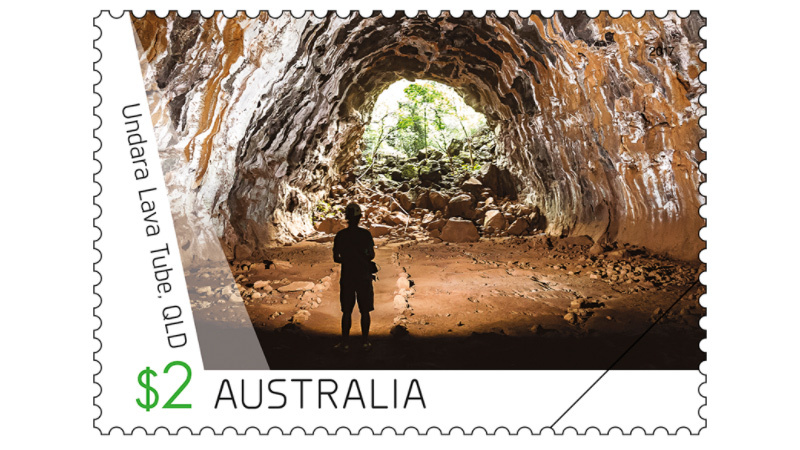 Undara Volcanic National Park, Queensland, is home to Undara Lava Tube, which is one of the longest lava tube cave systems in the world. About 190,000 years ago, a single flow of lava poured down a dry riverbed. The outer layer cooled into a hard crust, while the centre drained away to leave a hollow tube. 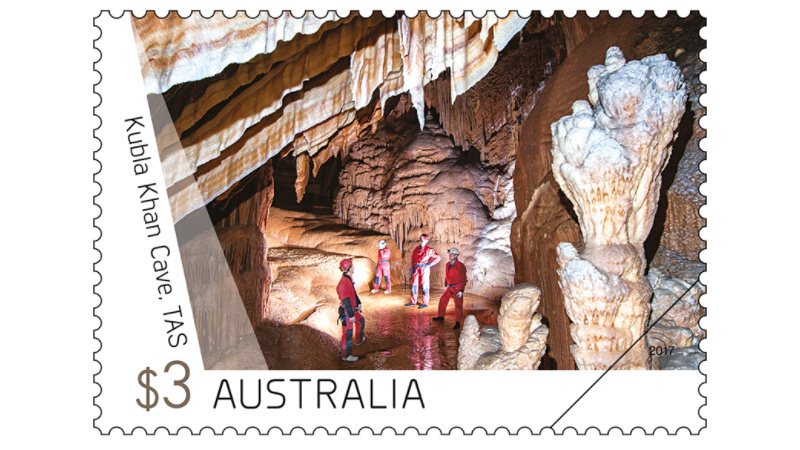 Surviving segments of the tube form caves and arches, including Mikoshi Cave, as pictured on the stamp. Kubla Khan Cave and its stunning formations are named after the Samuel Taylor Coleridge poem of the same name. Located in the Mole Creek Karst National Park, Tasmania, the cave is filled with incredible features, including spectacular shawl formations and a towering 18-metre stalagmite known as the Khan.